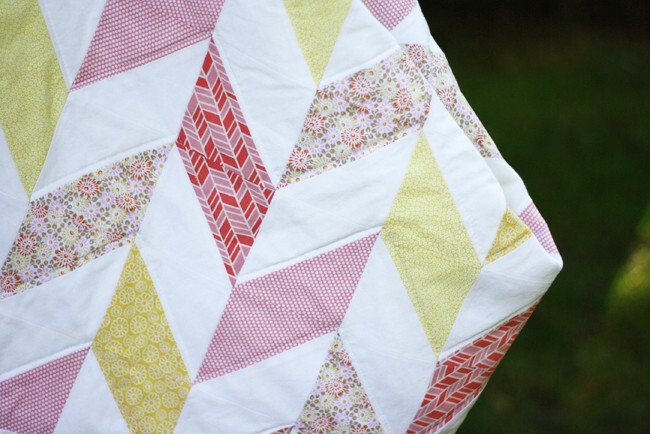 **EDIT: I now have a free pattern available for this quilt!! I thought I would catch up with some of the projects I did this summer. 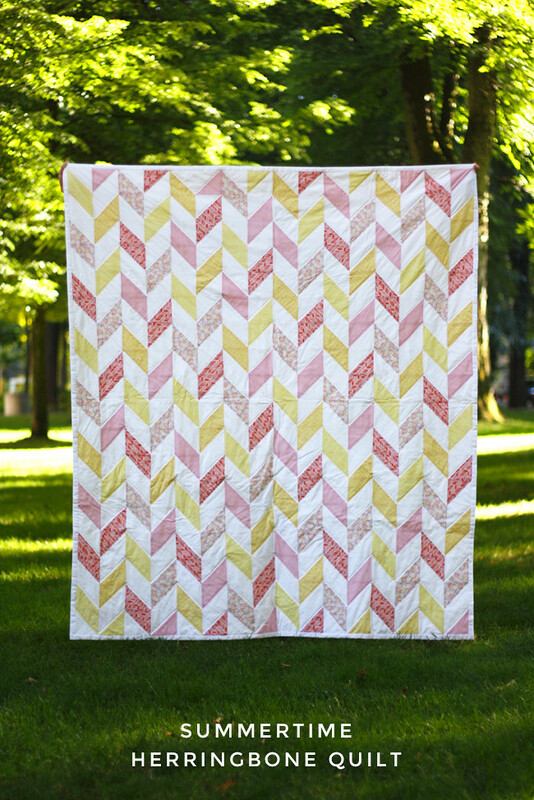 First up, this summertime herringbone quilt! this quilt is by far my proudest crafting accomplishment! I was able to cut, piece, machine quilt, and hand bind this beauty. and the largest project I have ever started, and most importantly, completed. and picked out fabrics that matched her wedding colors. 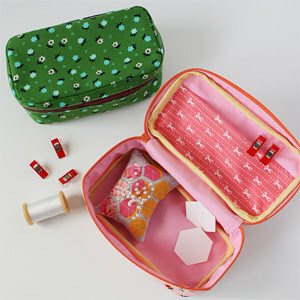 I just LOVE how cheery the yellows, corals, and pinks turned out together! how much our friendship has meant to me and how excited I am for this new stage in her life. I was able to stitch every single one of those good thoughts and well wishes into this quilt. as she tells them about the days she and her husband fell in love. 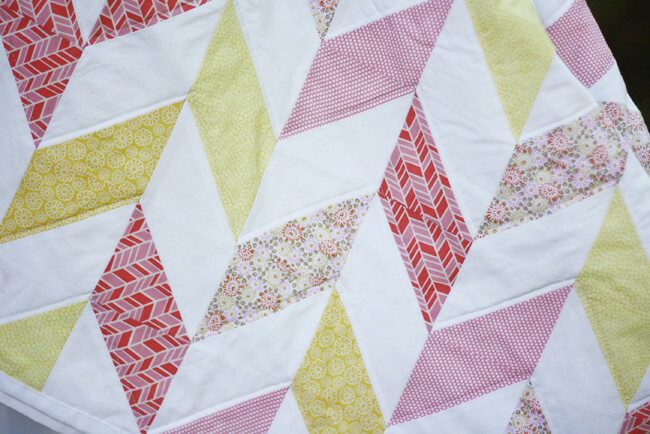 but being able to make this quilt has definitely changed that. 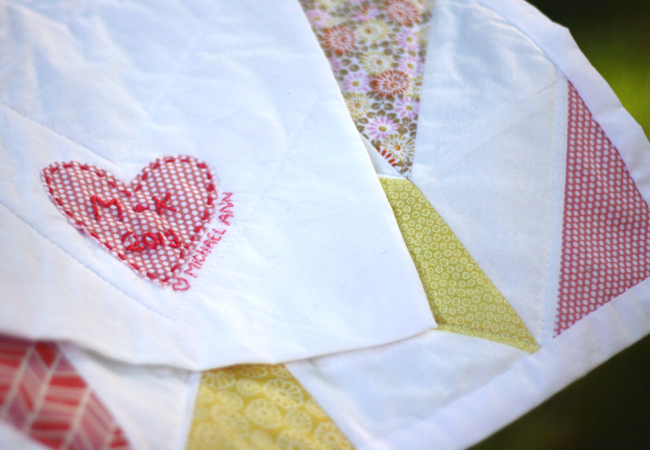 but I've become very intrigued by the range of emotions it's possible to express with a simple quilt. 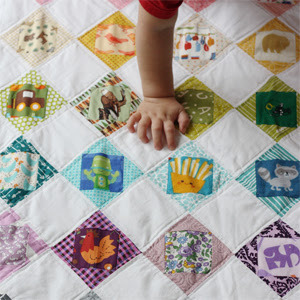 We love love love this quilt and are sure to brag about you anytime anyone sees it. You couldn't have given a better wedding gift! Love you so much! It's absolutely gorgeous! You're definitely making me want to get on it and finish the baby quilt I started. Beautiful! I'm slowly cutting out the squares for my first ever quilt. If it turns out half as good as this I'll be very pleased! What a great quilt! I love the design. 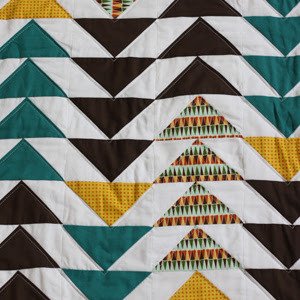 The reason I don't like a lot of quilts is that they look so out dated, unlike this quilt. Did you consider making strips of fabric, sewing them together then cutting them at a diagonal to save some of the cutting? 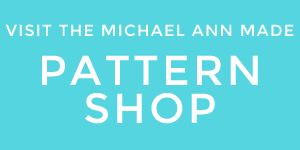 Oh Michelle, that really does sound so much easier, haha! 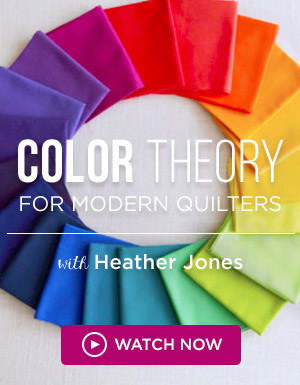 Considering how new I am to quilting, that didn't even cross my mind. But I will definitely use that trick for next time! Sure thing! I'm pretty sure I used 1/2 yard of five different patterned fabrics and 2 1/2 yards of white, but I also remember changing some things as I went. 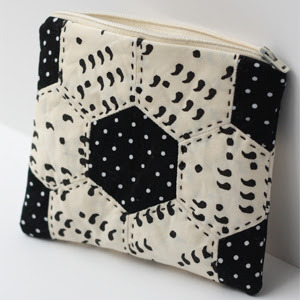 I have been thinking I should write up a full free pattern for this quilt, is that something you'd be interested in?